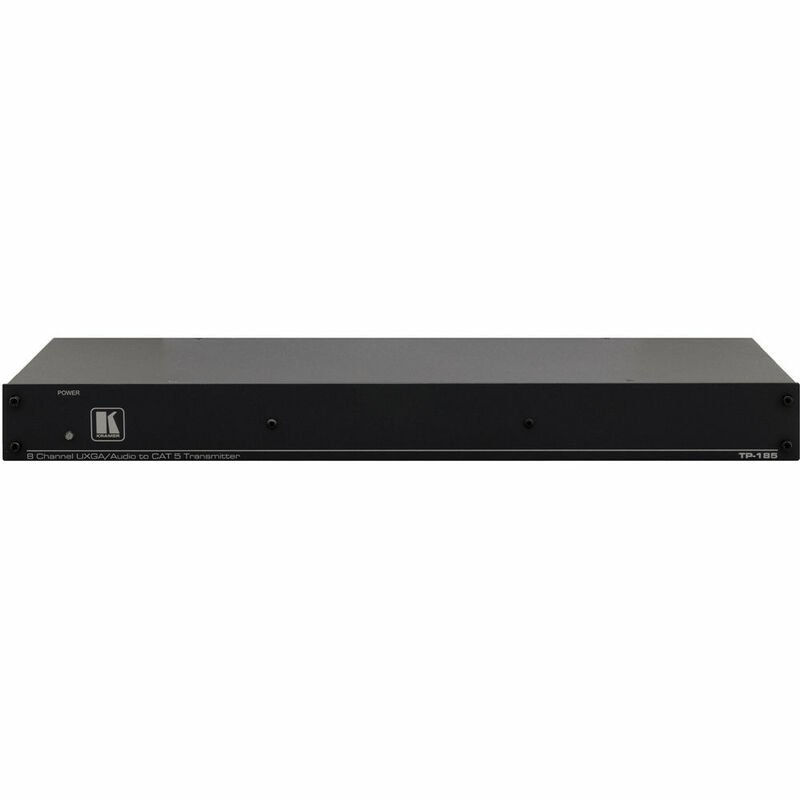 The Kramer 8-Channel Video/Audio/Data over Twisted Pair Transmitter receives up to 8 channels of input signals (computer graphics, unbalanced audio, or RS-232/RS-485 signals) and transmits them to the appropriate twisted pair receivers over 8 outputs. It can work with an 8 output matrix switcher, easily converting the outputs to CAT5. Supporting a maximum resolution of WUXGA, the transmitter is also compatible with HDTV. It features a system range up to 328' (100 m); greater distances can be covered depending upon the type of cable used and the resolution of the signal being transmitted. Cables such as UTP (unshielded twisted pair) or STP (shielded twisted pair) like CAT5 are used.